Every year, millions of Americans make the difficult decision to dissolve their marriages and move on with their lives. We understand how emotionally draining this decision can be, and recognize that the legal system can feel incredibly complicated for anyone considering divorce. Here is everything you need to know about preparing yourself for divorce or custody proceedings. At their core, divorces are negotiations between two competing parties, and when the situation is as complex and emotional as your marriage, you need a trained negotiator who will fight for your rights effectively. We understand that divorces are highly emotional affairs, but having an explosive reaction to something your partner may say in court can turn the judgment against you, regardless if what they said is true or not. An attorney will help you keep your cool throughout the process. Finally, divorce proceedings require extensive amounts of paperwork, and forgetting to file even one of these documents can incur expensive fines, delays, or can invalidate a case entirely. 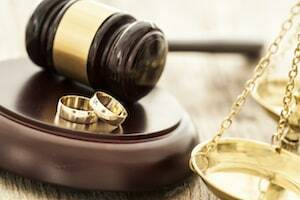 Attorneys specializing in divorce know the entire process from start to finish and can handle all of the paperwork and relieve a great deal of stress. What do I Need for a Divorce? Financial documents, such as income statements, stock portfolios, and tax returns, also need to be gathered before you enter the courtroom. If one spouse is less financially stable than the other, the judgment may include alimony payments to ensure a financially fair separation. Finally, ensure you are emotionally prepared for the stresses of court. Seeing a psychiatrist can help you understand your complex feelings and move on as quickly as possible. The Supreme Court has ruled that all biological parents have a right to choose how their children should be raised, but the custody of a child during a divorce can vary from case to case. Child custody is determined by state law and requirements differ from state to state. Depending on the age of the child, they may be asked to provide testimony and choose with which parent they would prefer to live. If you are looking to maintain custody of your child after a divorce, show the court that you are willing to be a good parent by enrolling in parenting classes and by showing your involvement in the child’s life. If you and your spouse have made the decision to end your partnership and find happiness elsewhere, call the legal professionals at Leopold Law LLC today at 781-380-3149 or visit us online for more ways to make this stressful process as quick and simple as possible.